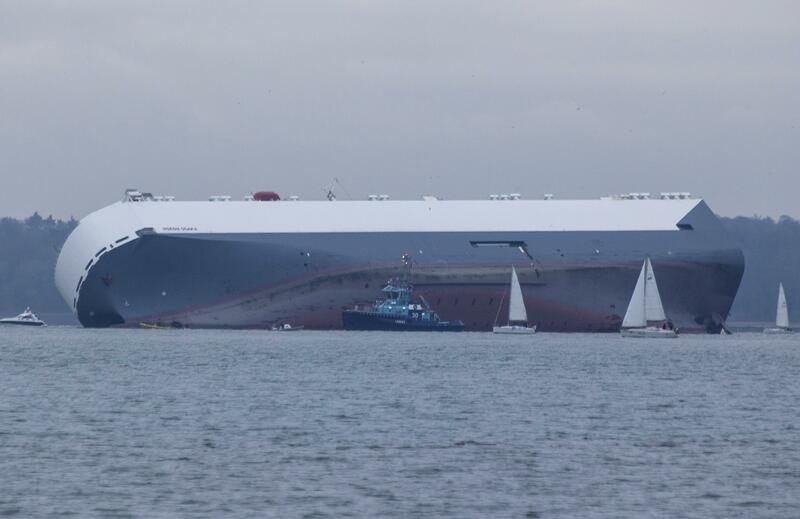 Hoegh Osaka grounding: Cargo ship lists on sandbar off English coast. 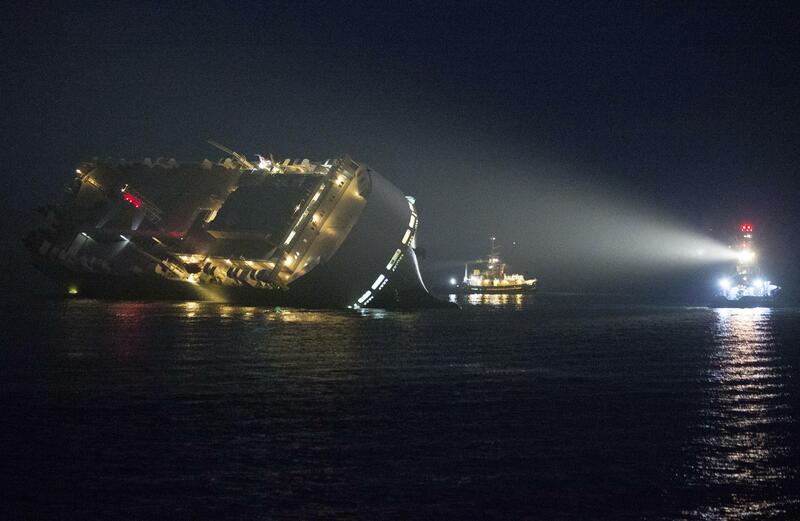 The Hoegh Osaka off the English coast near Southampton. 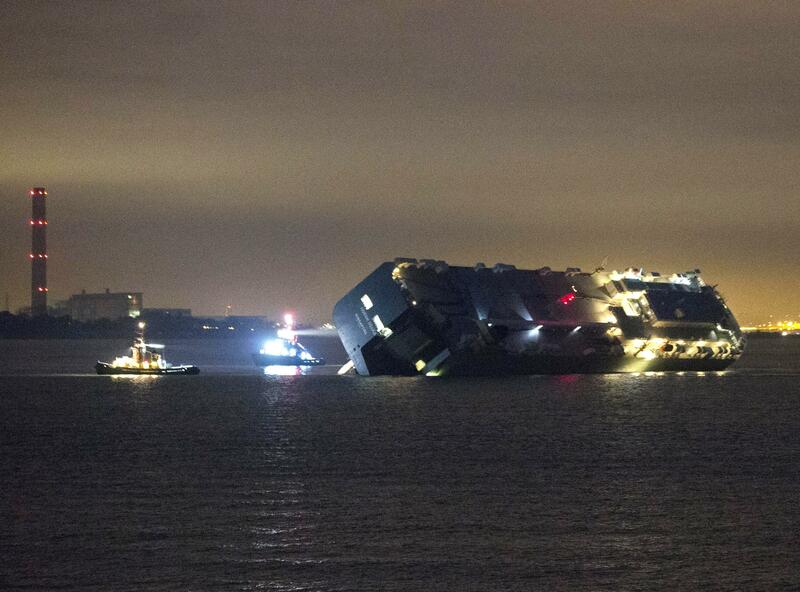 A ship carrying 1,400 cars and more than 70 pieces of construction equipment was intentionally run aground off the coast of England after it began listing on Saturday night. No serious injuries were reported. The Hoegh Osaka’s crew steered into a sandbar to prevent the ship from capsizing, the Telegraph writes. Per the Telegraph, Bramble Bank, the sandbar where the Hoegh Osaka now rests, “is the scene of an annual cricket match between two yachting clubs when the sands are exposed in low spring tides.” The match appears to be held in the late summer, so officials still have plenty of time to get the giant ship filled with cars off the clubs’ field of play.